Adobe AIR is a platform that allows developers to create applications that run on your desktop. Adobe AIR is a good platform to build desktop apps, these apps work both on windows and mac computers (Linux coming soon). Some of the folks have built useful desktop adobe AIR apps using Adobe AIR, here i am going to list some of the useful adobe AIR applications i came across or used at least once. The below mentioned cool adobe air apps are listed in no particular order. Twhirl: This is my favorite and always runs on my computer (earlier Review). Twhirl supports twitter, pownce, jaiku and friendfeed. Twhirl updates features very frequently so you can rely on this client. It supports tinyurl, snurl and ls.gd for converting links to short urls. Twitpic is also integrated in to Twhirl. This is the best and popular twitter client available. 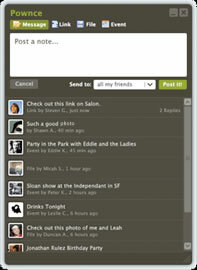 Alert Thingy: This is also i am using regularly to keep up to date with Friendfeed (earlier review). 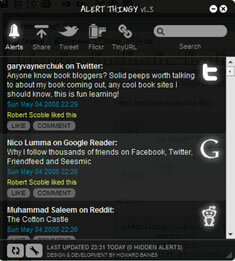 I have never came across any good Friendfeed client other than Alert Thingy. Twhirl also supports Friendfeed but this one is the best for friendfeed. It also supports twhirl, tinyurl and flickr. Pownce Desktop Client: If you use Pownce you may check out this, this is the official Pownce client, i prefer Twhirl over this because its support to twitter and others. Google Analytics: Most of the bloggers are stat junkies and this is particularly useful for the stat junkies. 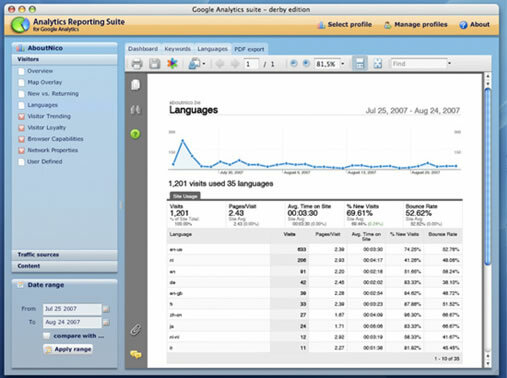 This app brings Google Analytics to desktop, almost all the features are supported. Download from here. It also supports multiple accounts, set different profiles for each account. 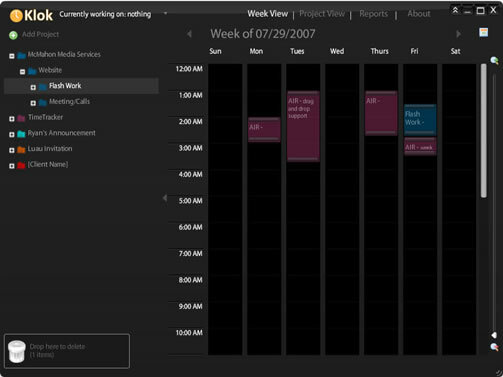 The tabbed interface of the application allows you to switch between reports easily. Reports can be exported to PDF, Excel and XML. 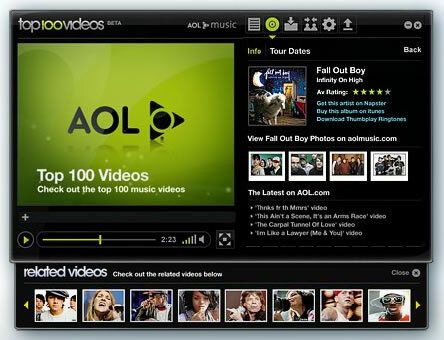 AOL Top 100 Videos: This desktop app features top 100 hottest music videos form AOL Music. It allows you to bookmark videos and watch them whenever you want. XDrive Desktop Lite: Xdrive Desktop Lite is a desktop client for AOL’s Xdrive. Xdrive is a online data storage service from AOL that gives you 5GB of free storage. With Xdrive Desktop lite you can easily manage all your files including photos, music, videos and files in your Xdrive account. It allows you to just drag and drop from your computer. eBay Desktop: eBay Desktop is a desktop client for accessing eBay listings. You can use this tool to browse, bid, search and jeep track of your eBay auctions. WebKut: WebKut is a desktop application that lets you to capture the web pages, or parts of the web pages. It provides 3 options to capture the pages, entire page, current view or only a selection. 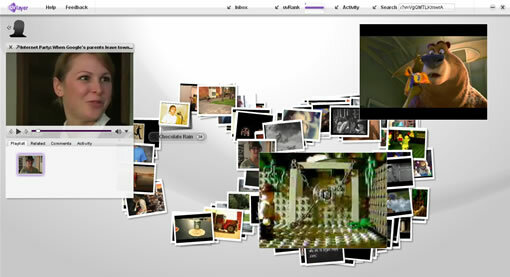 Flickr Flipper: This is useful for people who spent lot of time on Flickr it allows you to search for Flickr photos in general or from a specific user. It uses Papervision to display the photos one at a time and even allows you to download the photo to your computer. The limitation is that it only returns up to 100 photos of your search. 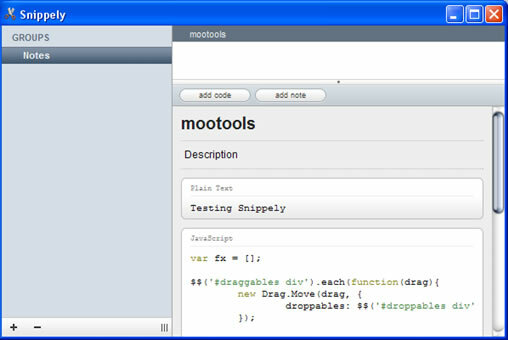 ShifD: (earlier review) ShifD allows users to shift notes, links and addresses between desktops and mobile devices. You can access ShifD through web interface or through browser bookmarklet or using a desktop application on top of Adobe AIR. uvLayer: uvLayer (earlier review) is a Adobe AIR application that allows you to watch and share videos with your friends. 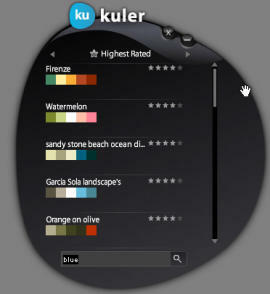 uvLayer lets share the videos you are watching with your uvLayer friends or Facebook friends. I didn’t knew about any of the above mention apps. Thanks a lot! I have a growing showcase of reviewed and rated AIR apps together with news, resources and tutorials. There was a few here that I have not seen before. I am amazed at the richness of what is possible in a browswer now. Great list! I also had written up a list of cool Adobe Air applications to download and try. Check it out! Also check out Howler, an AIR mp3 player. Also checkout cyn.in Desktop Air App. DestroyTwitter is Superb!! Try it..